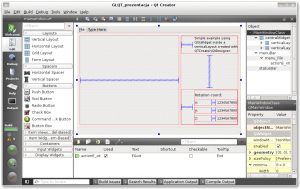 Qt offers a really handful application called qtDesigner. 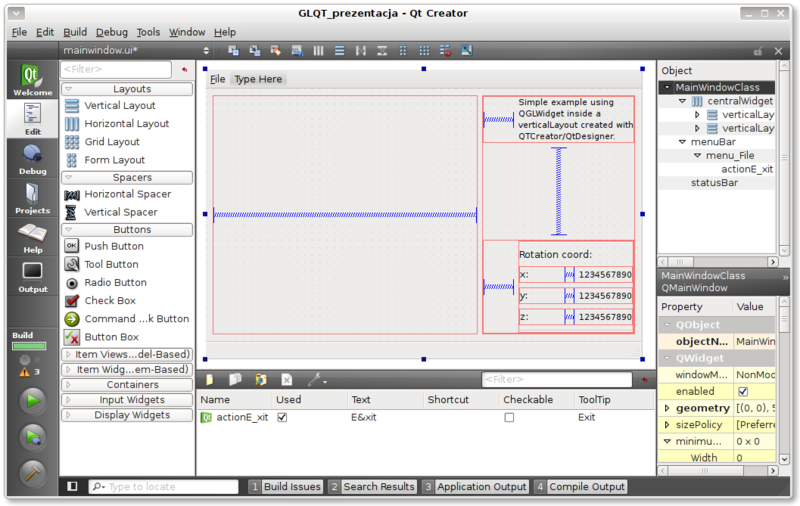 It’s additional module with support programmers in creating GUI. But it doesn’t offer qGLWidget, so basically you cant place it onto a form within Designer. After trial and errors, few cups of coffee and cigarettes I found a ‘solution’ how to place it where I want. What i did was adding additional widget, in this case GLWidget, into ‘layout’ that was on a main form. 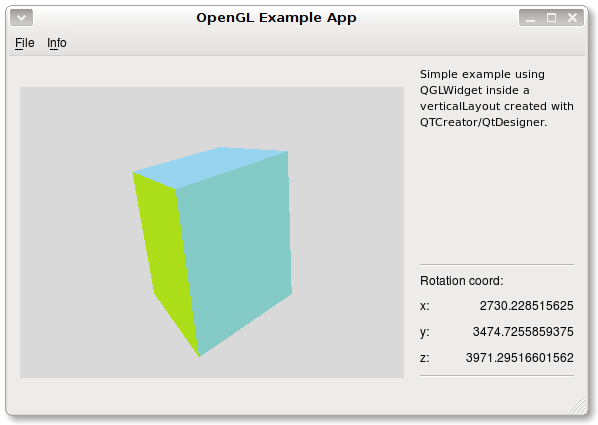 Horizontal spacer inside ‘layout’ is for expanding OpenGL ‘window’, when main form size change. In the end I end up with OpenGL widget in left side of main form. As you can see i also implemented two timers, one for glWidget and other one for updating text in labels on main form. Also some GUI elements, like ‘Info’ menu are created by ‘hand’. Source code for this ‘example’ can be found here. I hope someone will find these information useful. This entry was posted on Thursday, March 19th, 2009, 07:54 and is filed under Programing. You can follow any responses to this entry through RSS 2.0. Both comments and pings are currently closed.